It may be something of a cliche to say this, but it remains true to this day: a car really is only as good as the tires you give it. Something has to move that two-ton hunk of scrap metal around at several dozen miles per hour, so you need to make sure that it can do the job. But some tires are better for certain situations than for others. One such situation is snow. When jack frost has paid your entire county a nice thorough visit, then you need to get some tires that react accordingly. Kicking off our list with a name we feel safe in assuming you recognize. Bridgestone has been making tires for quite some time now and has garnered a very well earned reputation for doing better than just about everyone else. It’s more than likely that you’ve driven a few Bridgestone in your life, and in our opinion, this is one of their best works yet. When it comes to stopping power on ice and snow, what you make your snow tire out of will make all the difference. Bridgestone understands that, and so developed an original hydrophilic coating, that responds to the elements for assured stopping power when it meets ice and snow. Add onto that an advanced multicellular compound with a Nano Pro-Tech cocktail, and you get a snow tire that will work at a molecular stage to maintain its pliability in the cold. But the other side of the coin of making a good tire is how you make it, i.e., the cavity shape of the tire. The cavity is one of the most important parts of any tire’s anatomy, dictating what kind of rubble or debris the tire can pick up and move out of the way when rolled over it. This snow tire utilizes a new cavity outline that issues contact pressure consistently across the whole footprint area of the tire. This allows for an even wear and dry, as well as increased performance on ice and snow. If you want a really good snow tire, then you need to be ready to pay up the big bucks. Fortunately, the price of this tire is rather fair, given everything it’s offering you. It will add up when you try to get four, but not as much as other tires on this list. Coming in second place, we have the Nexan Roadian AT Pro Radial Tire. Nexan isn’t nearly as well known as Bridgestone, but in their defense, that’s like saying Illumination isn’t as well known as Disney, it isn’t the fairest comparison in the world. And continuing that analogy, that doesn’t make the products they put out any less worthwhile. Which we shall now demonstrate. If you’re going off-roading during the winter, then consider snow tires your top priority. With roads, there’s a fair chance that they’ve been cleared and salted back to their original state. But dirt roads and normal ground? They’re likely covered in snow by the time you get out there, and you need to be ready. Which is where the Roadian AT Pro comes into play. 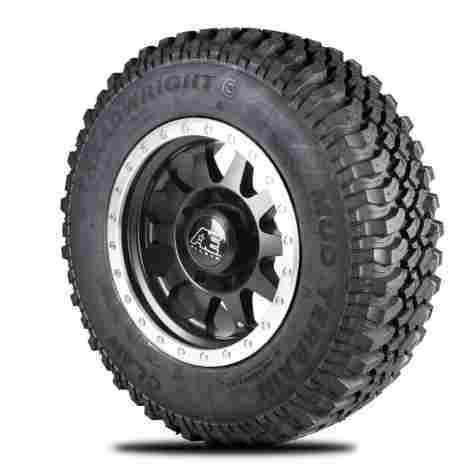 If you’re going off-roading, this is pretty much the best possible tire for you. The sidewall of the tire isn’t quite as important as the actual belly of the tire that’s touching the ground, but it’s always good to have that extra cavity for those high performance jobs. And the sidewall of this tire is exactly as aggressive as it needs to be. Not so much that it hurts the smoothness of the ride, but enough to make a difference. This tire actually costs a fair bit more than the previous entry, which did end up costing it the top spot on this list, due to the fact that it doesn’t quite measure up to the #1 pick in terms of features and quality performance. Finishing up our top three segment, we return to Bridgestone for the Bridgestone DriveGuard Run-Flat Radial Tire. Once again Bridgestone amazes with their advanced innovation of tried and true snow tire techniques and technology. Running circles around the competition and providing you with another of the best snow tire on the market right now. When the tire pressure starts running low, that means that the tire is becoming less able to support the weight of the vehicle. It needs that thick pocket of air to keep a good lift on the vehicle, but this tire provides a solution. As a backup for low pressure scenarios, this tire is outfitted with a NanoPro-Tech rubber insert, that reinforces the tire to help it support the weight of the vehicle. Even when all of the tire pressure has completely run out. Friction and heat buildup are your two greatest foes when it comes to the wear life of a good tire. The secondary purpose of a tire cavity is to help airflow throughout the body of the tire, in order to help keep it cool. This tire, however, has another solution on top of that, using special cooling fins to create further airflow around the tire. This keeps it at a cool temperature no matter how much friction you put this tire under. This tire is priced somewhere between the first and second entries, though leaning a bit heavier toward the price of the first. So, if you want a decently priced Bridgestone snow tire, this may be the one for you. 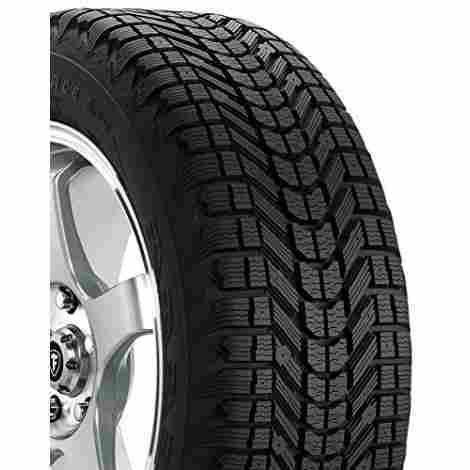 Coming in 4th place, we have our final Bridgestone entry for this list, the Bridgestone Turanza Serenity Plus Tire. This may be the last Bridgestone entry for this list, but the fact that they take up three of the four top spots on this list of the best snow tires currently on the market shows that this is definitely nothing to be ashamed of. So, let’s see what got this tire on the list. When driving through snow, you have to both be ready for the wet loose snow, and the rough frozen ground beneath. A snow tire needs to be able to walk a tightrope of being prepared to deal with extreme wet and dry at the same time in equal measure. So, it’s a good thing then, that this tire is more than up to the task. The best kind of tire is the kind you forget is even there after a few minutes of using it, that’s our motto. No matter what kind of tire you’re dealing with, it should always be so efficient, so steady, that you don’t even notice it after a while. This tire will provide you with all of the top tier performance expected of Bridgestone, all the while being as quiet as a mouse and as comfortable a ride as if you were floating in midair. This entry is a bit more expensive than the previous entry, but not by a lot. So, while still pricey, it isn’t that bad, and if you have a few extra bucks to spare, this is one tire you don’t want to skip out on. 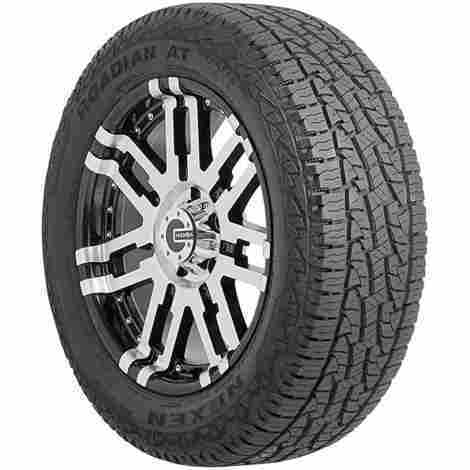 For our 5th place spot, we chose the Goodyear Wrangler Radial Tire. There are two tire companies that could definitely be classified as Bridgestone’s main competition, and Goodyear is one of them, without question. They keep step with Bridgestone in almost every instance and have maintained healthy competition with them for decades. And that has certainly not changed here. No matter what kind of tire you’re dealing with, the mileage of that tire will always be one of the most important aspects to consider when buying. For those not in the know, the mileage of a tire is basically how many miles it can ultimately go before giving out on you. Everything reaches its limit eventually, after all. Fortunately, one of Goodyear’s biggest selling points is that the mileage of their tires always run circles around the competition. When there’s snow, that means there’s a lot of water just waiting to thaw and seep into the ground, and that inevitably means mud. So, if a snow tire is meant to go offroad, then being able to drive through mud is a good precaution. Which is why Goodyear made this tire able to go through almost all kinds of terrain without losing traction. The best part of a Goodyear tire is the price. Most of the time, a Goodyear tire will give you great performance at around half the cost of the leading brands. This is what has helped them keep up with Bridgestone and Firestone. 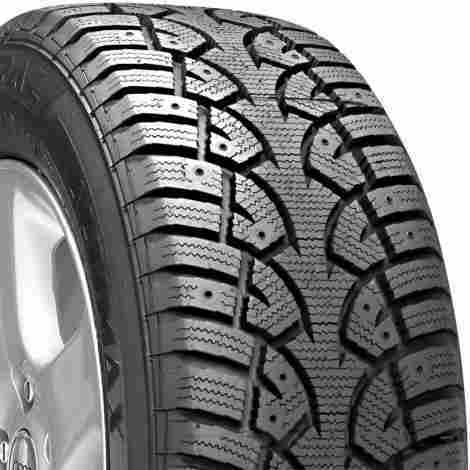 Coming in at #6, we have the Vitour Polar Bear S Winter Radial Tire. Vitour is a smaller tire company, but they have quite a few advantages to offer those who take a chance on them, all of which are embodied in this excellent snow tire. When it comes to the treads on any tire, but snow tires especially, you can’t just slap the treads on there in any way you want and call it good, there has to be a method to the madness. And thankfully for this tire, there most certainly is. The treads and cavities on this tire are specifically directed towards guiding the snow, ice, and any other debris it comes across out and away from the tire. This tire has some of the best grip that you’re likely to find on the snow tire market right now. 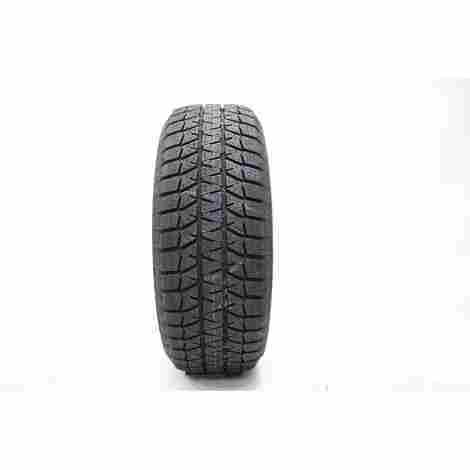 By using a high silica, low modulus tread compound in the tire’s design, this tire attains more grip when used on ice or slush than almost any other snow tire around its price range. The best part about this tire is the price. This tire manages both of these amazing features without costing nearly as much as the previous 5 entries. So, if you’re on something of a tight budget but need new snow tires, then this is a great compromise. 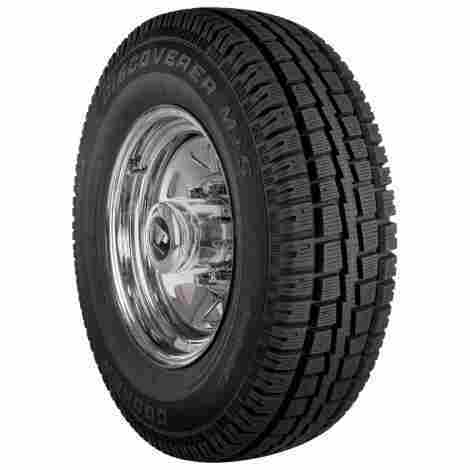 For our 7th place entry, we chose the Cooper Discoverer M+S Radial Tire. Cooper tires are well regarded by those who use them, even if they don’t have the reputation or publicity the other entries on this list do. But if you like going off the mainstream for a good snow tire, this is the brand to choose. Snow and dirt are two completely different materials, and thus require different kinds of treads in order to tackle, which is why there is such a stark difference between normal and snow tires for those who know what to look for. These tires are specifically designed to be able to handle even the thickest snow, the treads made with special Snow-Groove design technology to provide biting edges for that extra bit of traction through ice and snow. But the star of the show with this tire’s treads is the special sawtooth center. 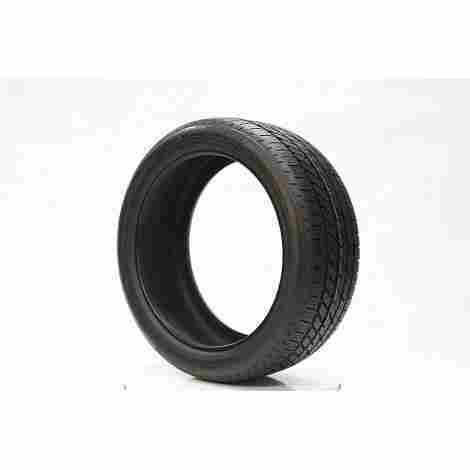 This circumferential rib and blocky tread element enhance the stability and even treadwear of the tire. This may not seem like that big of a change, but you would be surprised at just how much easier this tread design makes driving through thick snow. Unfortunately, we’re back to the triple digits with this tire. Of course, if you want a tire with this kind of tread performance, you need to be able to pay the price. And this tire is one of the priciest so far. Thankfully, we believe it fully earns the price it asks for. Kicking off our final three entries, we have the General AltiMAX Arctic Winter Tire. Another smaller outfit with General Tires, but one that has kept trucking for a good long while. And as this snow tire definitely proves, for a very good reason, as their products are always worth the price tags they come with. How the tire reacts to its interaction with the ground below is one of the most important design aspects of a tire in general, but snow tires, in particular, must consider this to be particularly important. Which is why this snow tire is made with reactive contour technology. This means that the tire will actively react and contour accordingly to any changes in the road or the materials on top of that road. Like other snow tires on this list, the treads on this tire are shaped specifically to move snow away from the tire so that it can grip down on the ground underneath it. But the direction treads on this tire have a little specialization to them that sets them apart: a center stability rib. Rather than help with the treading through the snow, this rib’s job is to keep the tire as stable as it possibly can, which is especially a priority when dealing with slippery ice and snow. The main problem with this tire is the price. This is easily the priciest entry on the entire list, and though we consider it to be an excellent tire in its own right, the fact that you’re expected to buy four of these things makes us uneasy when it comes to actually recommend it. For our second to last entry, we’re looking at the Firestone Winterforce Radial Tire. If ever there was a direct competitor to Bridgestone in terms of high quality tires, it would have to be Firestone. Firestone has consistently kept pace with them for years, and every reason why is showcased with this product right here. Sipe, to boil it all down, basically translates to how thick and 3-dimensional the treads on a tire are. Which is important for achieving optimal traction on the road. And snow tires, which need to punch through soft snow and slippery ice to get to the road beneath, needs much more sipe density than a normal tire. This is where the Winterforce comes in, utilizing the latest in high-sipe density to provide confident movement through snow and ice. This tire is what would be classified as a low speed rated tire. This means that you can’t safely hit 60 mph right away when using this tire, though there are several upsides. For one, a lower speed rating basically guarantees better traction, as well as superior braking and cornering. So, if you live in an area where the roads have a lot of tight turns (like on a mountain, for instance) and you need to be careful when things get snowy. For what we’ve seen on this list, the price of this tire is actually fairly average. So, if you need an excellent snow tire, and you have some money to spare, then give this one a try. 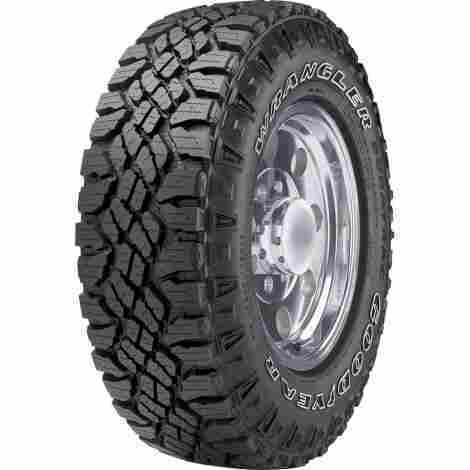 For the final entry of this list, we have the TreadWright Claw M/T Tire. This is the tire you go for when you have less snow on the road, and more thick ice and hail that will rip any other snow tire out there to shreds. When you want to avoid slipping and sliding like a bumper cart rammed at top speed, and you want to punch through that ice as effectively as possible, you get this tire. Whether you’re driving through snow or mud, there’s one thing you have to worry about with these sorts of tires: buildup. The gunk you drive through is going to stick around in your treads, regardless of how well directed the treads are. But that doesn’t mean there isn’t a solution. This tire, in particular, is made with self cleaning lugs that will work out anything that gets stuck in there as you drive. So, you don’t have to worry about your traction decreasing because you hit a particularly muddy spot on the road. With a tire, you basically never have to worry about the tread part of the tire getting punctured, as that is where the tire is at its thickest, and there are several inches of rubber for any puncturing object to get through in order to hit the other side. The sidewalls, however, are another matter entirely. Fortunately, though they technically are just as thin as normal sidewalls, the material that is there is incredibly reinforced and less likely to be punctured. Like the previous entry, the price of this tire is rather average, given the price range of the tires we’ve seen so far. Put simply, if you live in an area that gets a lot of snow, especially on the roads, and if your work involves a lot of off-roading even during snowy weather, then you need a set of snow tires. We wouldn’t make a separate type of tire apart from the default just for a once per year meteorological phenomenon if it was possible to make normal tires work as snow tires. There are just two completely different design philosophies at play here. 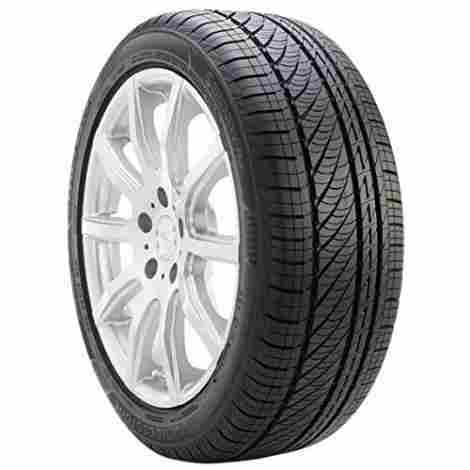 A normal tire and a snow tire require different things, different tread designs, and different material densities. All of which come together to make either a tire for the normal dry open road, or for a frozen tundra that spawned on top of that road overnight. But not all snow tires are created equal, or else there wouldn’t be a business for it. And in that regard, we consider the ten entries we’ve listed for this article to be the best on the market right now. They’re the most innovative, the most efficient, and just give the best overall performance. So, if that’s all that you’re looking for in your snow tires, then we can’t recommend these ten entries enough. Putting together a list of criteria for snow tires was no easy feat. We basically had to teach ourselves the full anatomy of a tire, and then the differences brought by a snow tire. But it was more than worth it because this led us to have an extensive and thorough list of criteria for this article. So, with that said, here are the most important criteria used for this list to determine who got on it and where. Not all snow tires can get all the way through the ice on the road, but they should always get at least some of the way through. The punch of a snow tire determines how much traction it can attain when on the road, which will be what keeps you from spinning out on the road and hitting some poor, squishy pedestrian. The punch of a snow tire is decided by the shape and thickness of the treads, as they will be what the tire is using to puncture the ice and get deep in there. And when driving on top of snow, this will help get the snow into the treads to be moved out of the way so that the tire can get down to the road beneath. Speaking of which. 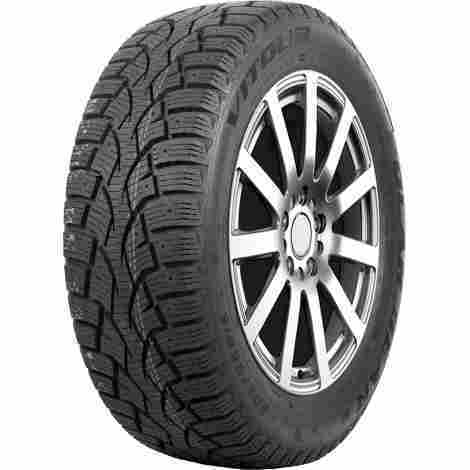 The biggest difference between a regular and snow tire is the design of the treads. Snow tire treads are, of course, much more pronounced and thicker than regular tire treads. But the biggest difference is how the cavities between those treads are laid out. A good snow tire will have its treads be designed in such a way that will guide its cavities to the edges of the tire. The purpose of this is obvious; this is designed to guide the snow scooped up by the snow tire treads out of the tire and out of the way so that the other tires don’t have to worry about it. This is why you should put the best snow tire treads at the front of the car so that they can clear out the snow directly in front. But the treads serve another purpose, and that is the grip. The grip of a snow tire is a lot more important than a regular tire, as we’re sure you can imagine. Even when you get to the ground underneath all that snow and ice, the ground is going to be frozen solid and very wet. So, the treads of a snow tire need to work at it harder to get a better grip on the ground below. The thing about snow is that it is, ultimately, water. And when it hits the ground, it will eventually turn back into the water. And when that happens, you’re going to have another problem; slush and mud. This is another environmental hazard that regular tires, on average, just can’t deal with. But as it happens, a lot of snow tires can. Because it’s ultimately the same principles; getting to solid ground beneath non-solid materials in the way. So, if your area is likely to get a lot muddier after the snow thaws, then you’re going to need a set of snow tires that can get you through the mud puddles. The last criteria we used for this list was the price of each item. This was a bit tricky because there didn’t seem to be much of a pattern for the price of a snow tire, each price seems to depend on the brand selling the tire. However, upon closer inspection, we discovered that the price of each item varied based on the features and material quality of each tire, along with a cadre of other various features that added up into the price each entry ended up with. So, of course, we judged each entry’s price by how well those included features justified it. The #8 spot was actually really excellent, but we felt that it didn’t quite earn the price it was asking for. But a tire that provides excellent service for a very fair price was far more likely to earn our approval, as well as a higher spot on the list. For our final segment of this list, we’ll be looking at some frequently asked questions surrounding snow tires. These are mostly just safety-related, but that’s why we included them. Driving on a snowy road is dangerous, so it’s important to go in prepared, even when you have snow tires. Q: I’ve just moved into a home situated on a mountain, and of course we get a lot of snow. Winter is just about here, so do you have any basic advice for driving on the snow? A: First and foremost: stay alert! It’s important to keep your eyes on the road anyway, but when driving on a snowy road, even if cleared, then you need to be paying attention at all times. This is especially the case when driving in areas with a lot of worn out roads, steep inclines, and tight turns. Even when driving on a normal road, other drivers, slippery ice patches, and other hazards will still dog you, so stay alert. You should also avoid uphill climbs. Even the best snow tires have their limit, so even if you think you can make that hill if you can go around, you should just go around. Finally, never ever slam down on the brakes. Remain in control of your vehicle at all times, easing yourself into the brake. Slamming down on the brakes is basically the same as throwing up your hands and letting jack frost take the wheel, as now the car is at the mercy of the elements. And the elements are notoriously crummy drivers. Q: How much distance should I keep between me and the car in front of me when driving in snow? A: 3-4 seconds at least but add on a few more seconds if you’re a younger, less experienced driver. Better safe than sorry. Even with the best snow tires and top of the line brakes, there’s still going to be a bit of a slide when braking or turning or what have you. So, in order to get out in front of a problem before it becomes one, you need to put much more distance between you and the driver in front of you than you normally would. Q: Should I go the speed limit when driving in snowy weather? A: Absolutely not! That sign is the speed limit for idyllic conditions, the best case scenario: dry road, not a cloud in the sky, etc. Not for a frozen tundra that’s covered the road in frozen water. If the weather hasn’t cleared up at all and is still actively snowing, then you need to play it as safe and cautiously as you possibly can. And that means going at least half of the speed limit, maybe even less, depending on how bad it actually is. Don’t worry about people behind you honking their horns and trying to squeeze past you. If they want to roll the dice with mother nature (the house that always wins), that’s their prerogative. The key thing here is everyone else on the road. No matter what kind of road you’re on, they’re the things to constantly be watching out for. You can predict how a snowy road will react, but not another person.